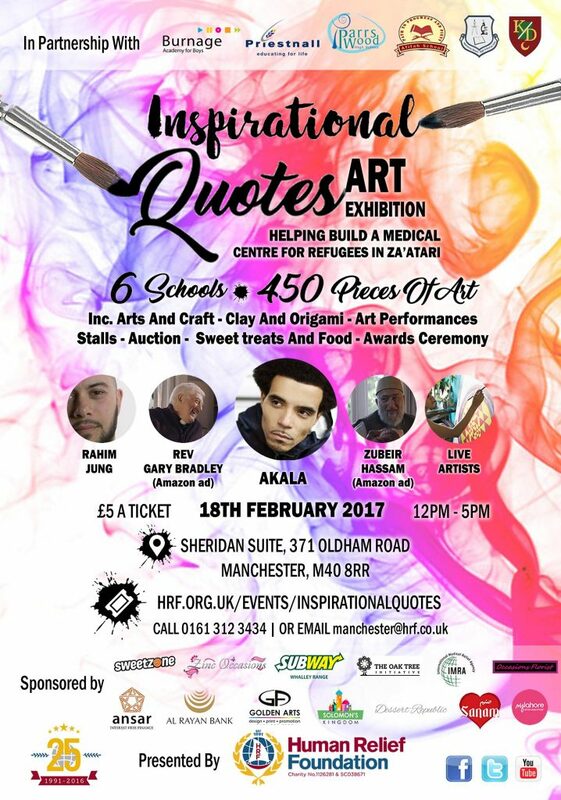 We’ll be exhibiting at the Inspirational Quotes Art Exhibition on Saturday Feb 18. Organised by Human Relief Foundation, it’s jam packed day with arts and crafts, food, and live performances. Join us from 12-5pm at Sheridan Suite, Manchester.